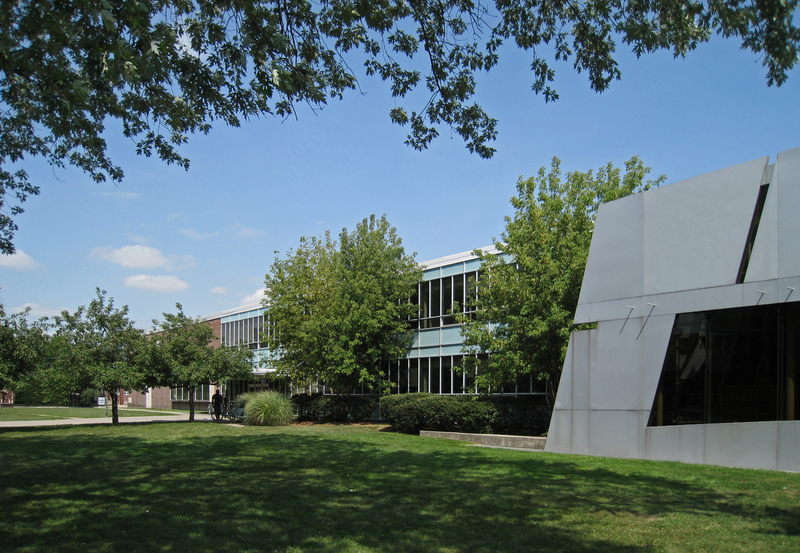 In a city where important Modernist buildings are often relegated to landfill or altered beyond recognition, Centennial College deserves kudos for its stewardship of the former Toronto Teachers’ College building. 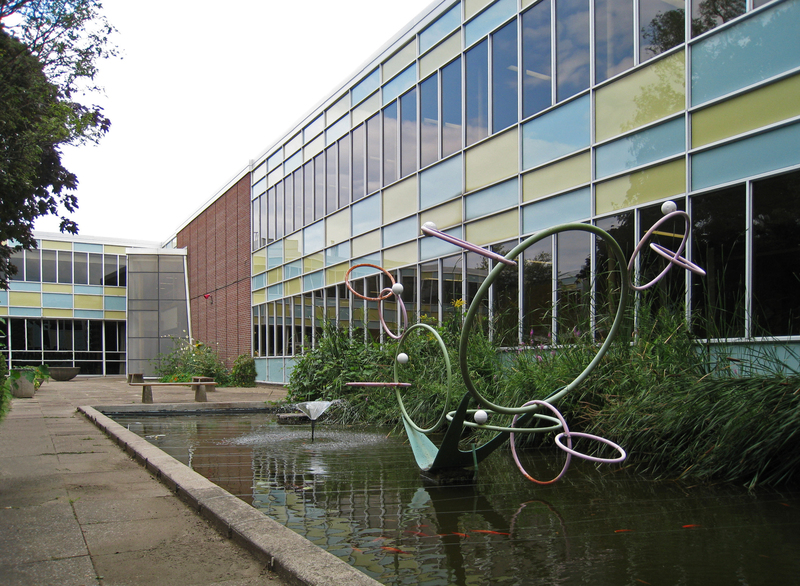 Currently the Story Arts Centre, home to the college’s School of Communications, Media and Design, this Peter Dickinson-designed 1954 gem at 951 Carlaw Avenue received a Massey Medal for Architecture and is one of the architect’s most lyrical and engaging works. Centennial’s involvement with the Teachers’ College building began with its purchase in 1978. 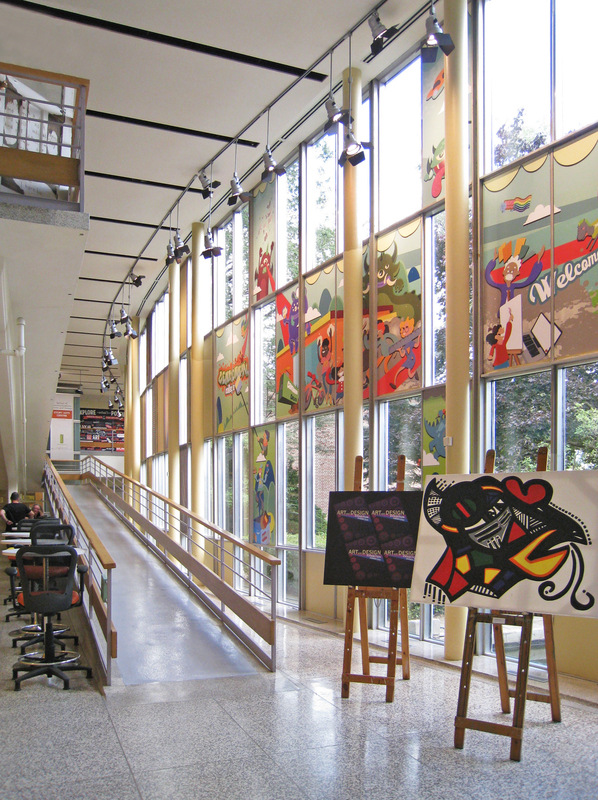 Following another decade of use as general-purpose classroom facilities, the building underwent an extensive renovation led by architect Alar Kongats and reopened in 1994 as the Bell Centre for Creative Communications. Kongats had an inspired canvas to work with. 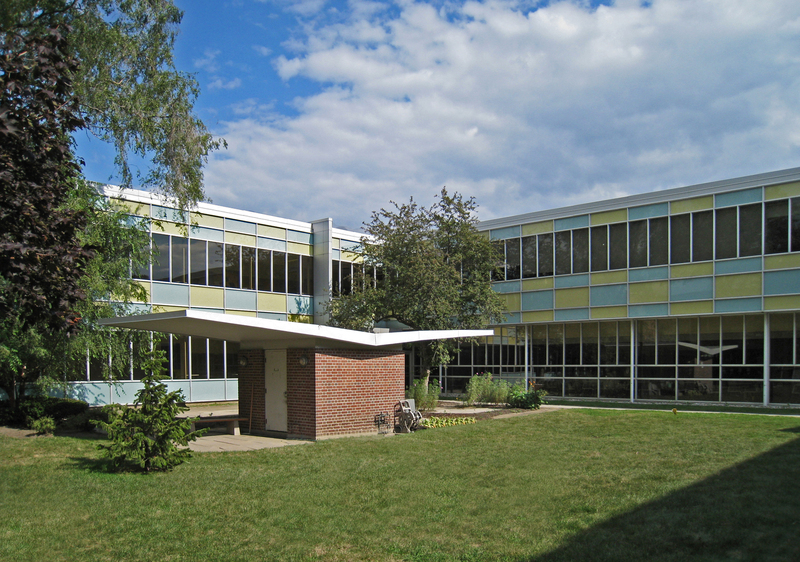 Unlike the maze of windowless hallways typical of education buildings, Dickinson planned the Teachers’ College around a private landscaped courtyard, an expanse of lawns, trees and limestone terraces enclosed by glass curtainwalls in a colourful checkerboard pattern of turquoise blue and lime green. The building’s main corridors overlook the courtyard on all sides, assisting visual orientation and providing continuous views of the greenery within. 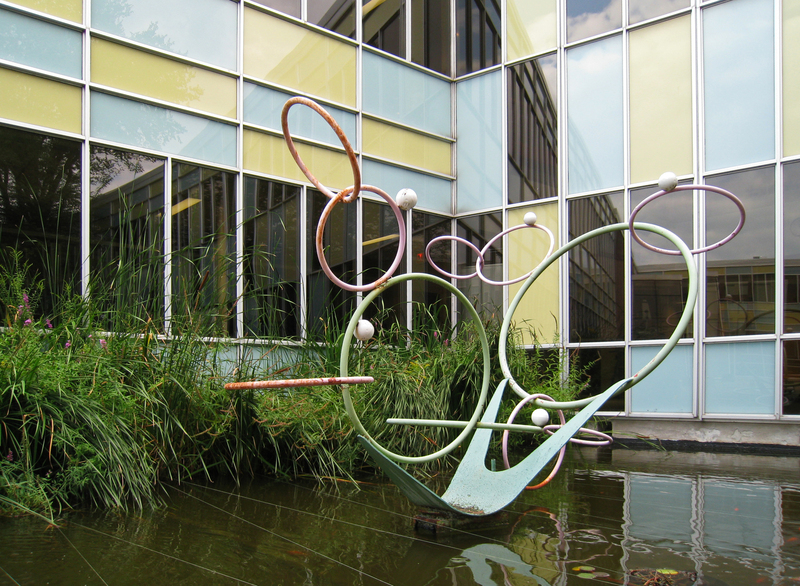 A rectangular reflecting pool is the courtyard focal point, floodlit at night and featuring Dickinson’s own whimsical hoops-and-balls sculpture. On the public facades, Dickinson deftly scaled the building’s long, low exteriors to its residential neighbourhood, punctuating the horizontal curtainwall bands with broad planes of coloured brick and a swoopy cantilevered canopy over the main entrance. Inside, past the low-ceilinged entrance vestibule, the space abruptly expands upward into an airy, double-height lobby that looks directly into the courtyard through a gently curving grid of transparent glass and opaque panels. A freestanding ramp zigzags up to the second level, animated by a steady flow of students and staff. Kongats’s renovation introduced a series of angular Deconstructivist insertions, most notably the aluminum and glass shard (housing the library) that projects outward from the west façade and continues into the courtyard. Original details were carefully preserved and building systems updated with minimal impact upon the historical fabric: the aging curtainwall was overlaid with a new high-performance system that matched the original colours and proportions, while the slender steel structural columns lining the lobby and corridors avoided encasement in fireproofing materials thanks to individual deluge sprinklers. New radio and television studios and multimedia production facilities, much of which required isolation from noise and vibration, were neatly integrated into the former gymnasium. Subsequent alterations by Kongats have faithfully maintained the building’s spirit and integrity, a credit to the skill and sensitivity of the architect and the ongoing stewardship of Centennial College. For fans of a certain generation like myself, this building also served as the set of Degrassi High.